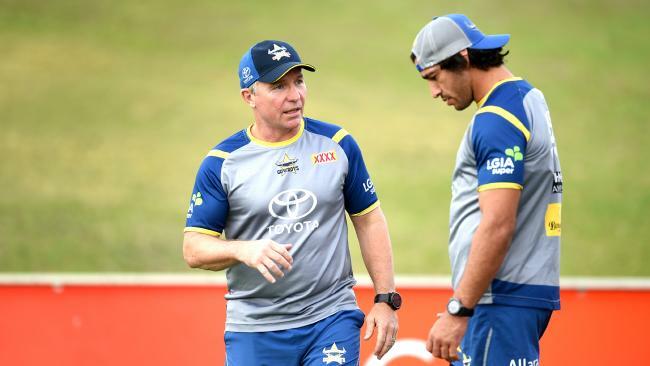 COWBOYS stars Johnathan Thurston and Michael Morgan have strongly denied accusations by former North Queensland prop Willie Mason that coach Paul Green has lost the players' support, pointing to their public backing of him as proof. Mason claimed on Skipi TV that Green had a couple of run-ins with senior players during the pre-season, which fractured the relationship. But a defiant Thurston - who anointed Green "the club's most important signing" before the coach recommitted for another three years in April - said there's no truth to Mason's claims. The Cowboys were rated premiership favourites by many before the season started, but are wallowing in second-last place with just four wins from 16 games. "I want to nip that in the bud straight away. It couldn't be further from the truth," Thurston said yesterday. "I don't know where his sources are or who he's got that information from, but certainly from a playing point of view he hasn't lost the group and we fully back him 100 per cent. "My opinion hasn't changed of that (most important signing). It's a massive signing having him here for another few years. 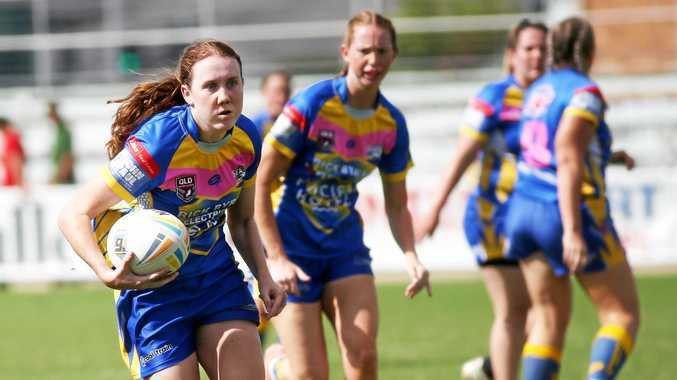 "Things haven't gone according to plan this year, but that's rugby league." Mason, who played one season for the Cowboys in 2010, didn't mince his words when asked his thoughts behind the demise of last year's grand finalists. "I heard he had a couple of run-ins with some players on the piss, and they don't really like him doing that and mixing with players," Mason said. "Just all these little things have been building the last three or four years and it's come to an end. "I think something went really sour in the pre-season, which pissed a lot of the leadership group players off, and obviously they're just not turning up for him. They've still got six or seven Origin players and Test players in their side, it's ridiculous. "They came out of the blocks pretty s*** and they haven't played any decent football, so for a bloke like JT to go out this year and for them to play so bad, something's gone wrong internally. Mason added he believes Green has been guilty of refusing to change his game plan, with opponents working out his playing style. "I can honestly say if I was getting coached by Paul Green I wouldn't give a s***, I wouldn't play for him," he said. "It is sad because they are busting their arse every single week but it seems other teams have got their measure and I think it comes down to coaching. "Because you can't keep playing the same plays for three or four years and that's what they've been doing, and then giving the ball to Jason Taumalolo who's just an absolute wrecking ball, but he can only do so much." Morgan signed a rich five-year deal on season eve and reinforced on several occasions that the prospect of Green staying was a major reason behind his long term commitment. "He (Mason) said it was after the pre-season that the players weren't happy with him but if you look back, there was a number of players that came out and said they hope Greeny re-signs with the club," Morgan said. "I was quoted a number of times saying I hope Greeny stays, and that I think he's a great coach, so I don't think it should be read into too much."